With the 2014 First World War Centenary, heritage organisations around the world are delivering exhibitions, programmes and lectures, recognising the 100 years since the outbreak of war. 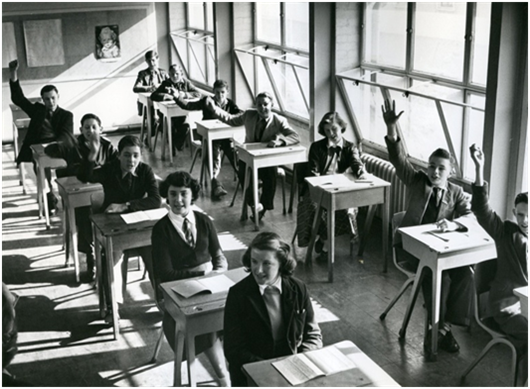 As the IOE’s archives are predominantly twentieth century, many collections reflect the impact of war on education, children and teachers in the UK and Europe. 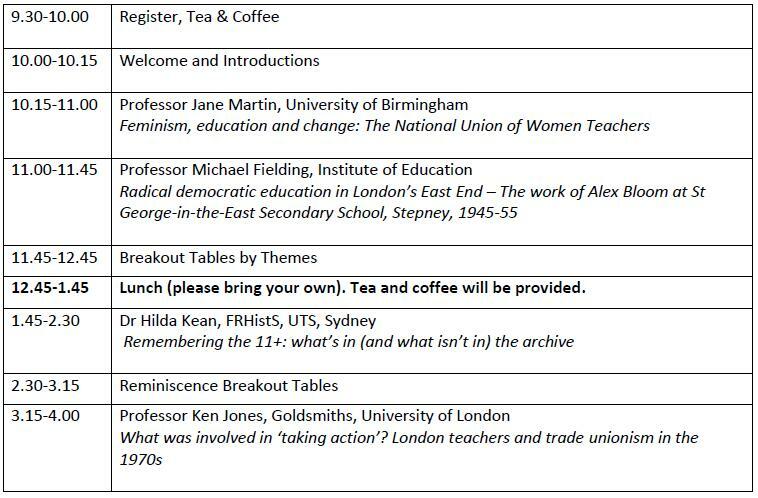 The National Union of Women Teachers (NUWT) collection spans 1904 to the early 1960s, with documents reflecting both World Wars, pre & post war England, and the interwar period. It’s within that interwar period that the NUWT collection holds a wealth of material relating to the peace movements which emerged in the wake of the First World War. 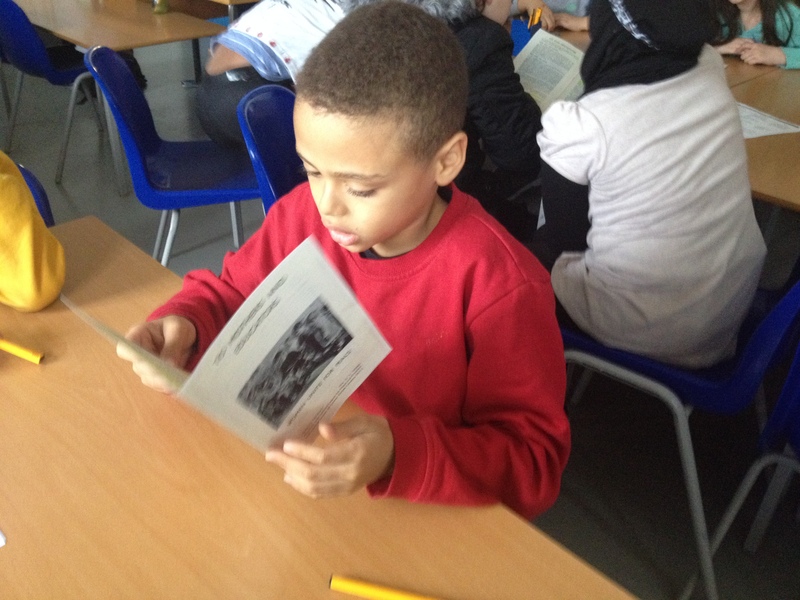 Back in January, we delivered workshops on this interwar peace movement to Year 6 classes in Islington. The pupils previously learned about the World Wars, life in Britain in the 1930s, and had recently discussed bias in the news and other sources. Their teachers were also keen for students to hone their skills of historiography and accurate research. So, we combined archives and the peace movement, with the skills and responsibilities of both historians and reporters, for a few Friday afternoon workshops. … in every factory, office and school were people are together, they must be trained to expect war…What are we doing to the minds of a whole generation of children if we surround them with these ever-present… proofs of our expectation of war? Students were amazing at distinguishing different biases… they acknowledged that WILPF wasn’t a 100% impartial source (citing how irresponsible it would be to not be at all prepared for a future war… as one student commented, ‘peace is great – but we can’t just always hope it’ll all be okay!’), while still being critical of government air raid precautions (‘Is a gas mask REALLY gonna save you if your home is bombed? !‘ questioned one student). 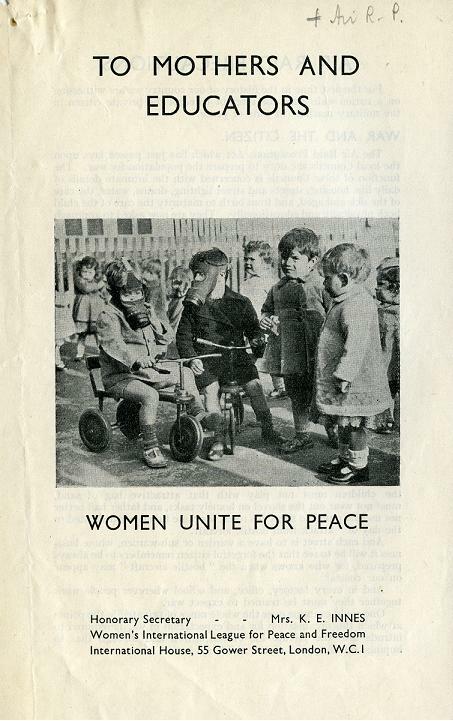 A student takes a read through WILPF’s pamphlet. 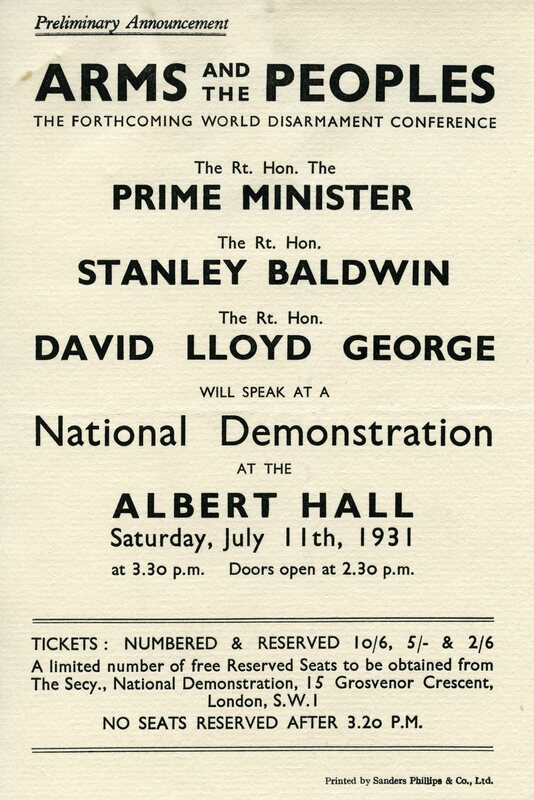 We then looked at the peace movement through a specific event – a disarmament demonstration at Royal Albert Hall on 11 July 1931. 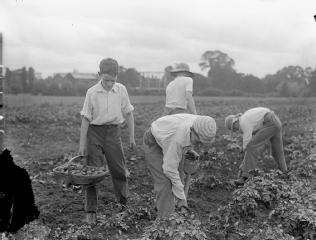 Students explored the organisations involved in the peace movement, including the NUWT, The League of Nations and the Women’s International League for Peace and Freedom (WILPF); debated the reliability of sources and potential biases; and did primary source investigations with leaflets, postcards, memos, letters and petitions. 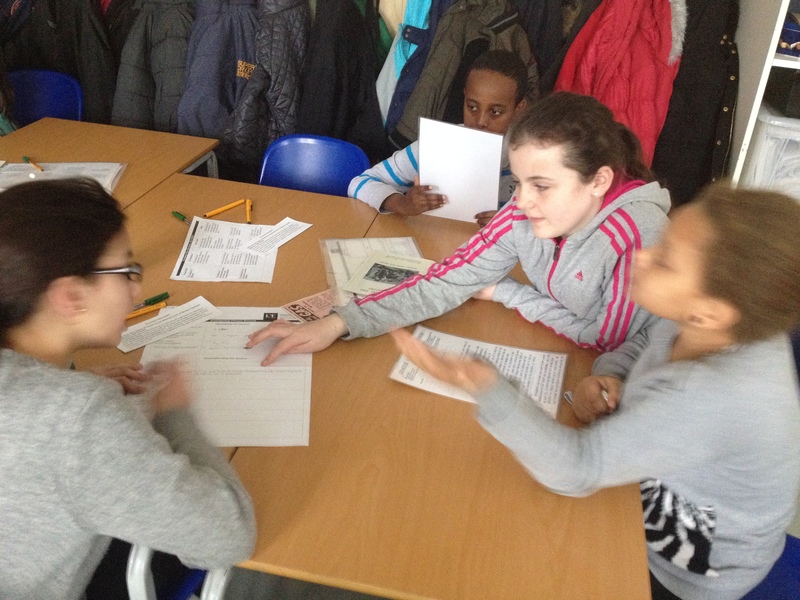 Year 6 students work in groups to complete a Primary Source Investigation, analysing a document from the archives. Here, students investigate a letter addressed to the NUWT, from the League of Nations, asking for their support in educating the public in the peace cause. Finally, the Year 6s put on their reporter hats and were asked to imagine it’s July, 1931… as junior reporters for The Guardian, their Editor-in-Chief handed them an assignment: write an article to inform readers about an upcoming disarmament demonstration taking place on July 11th. In groups, they got to work investigating their documents for the who, what, where, when, why and how, and then shared their findings with the class. 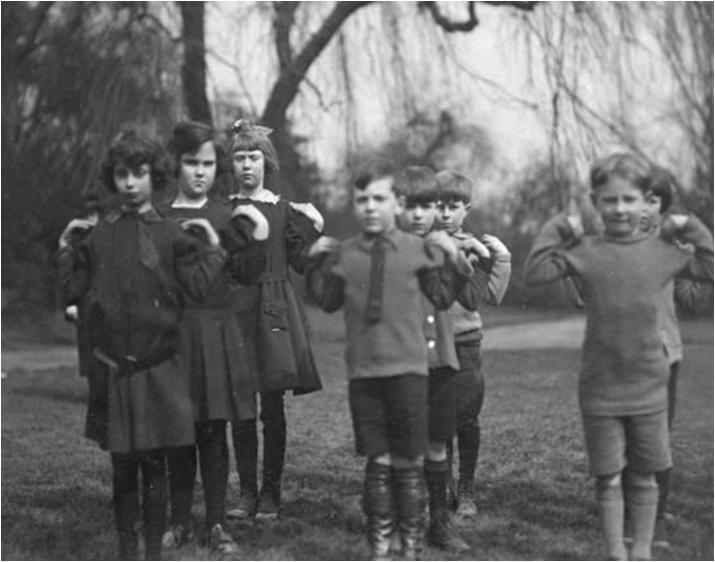 When I asked students what they know about the World Wars, hands immediately shot in the air. The Year 6s had thorough prior knowledge: they knew the causes, trench warfare, munitions production, Winston Churchill, Hitler, the Holocaust. Their responses also reinforced how history curriculum (and history in general) favours the grand narratives of the past: the major events, battles and historical figures. While these histories certainly have their place, there’s something to be said for investigating multiple perspectives – and experiences – when it comes to the past. Throughout the History Reporters workshops, students were still indirectly learning about the world wars and political and social climate of the time, but were doing so through a perspective of a group of individuals – in this case, predominantly women – whose stories and experiences are perhaps less often shared. A big thank you to teachers, Anna and Bea, and the Year 6s, for having us into your classrooms (on Friday afternoons, nonetheless)! Teachers: below you will find an interdisclipinary lesson plan based on the History Reporters workshop. The resource pack includes National Curriculum core standards; lesson details; archive documents and worksheets. Students take a hands-on approach to source-based historical research as they investigate the interwar peace movement. Topics include bias; how to decide whether a source is reliable or not; and recognising the similarities between the responsibilities of a historian and news reporter. Students take on the role of journalists as they investigate archives as research for a newspaper article.